As a major distributor and producer of chemicals to various industries including the rubber industry, the Behn Meyer Group is always challenging itself to solve problems that concern our customers. Epoxidised natural rubber (ENR) has been offered to the tire industry for more than 25 years now, as a natural and sustainable high-Tg polymer. It could replace synthetic rubbers like SSBR in tire compounds if ENR can match it for performance, or at least get close. 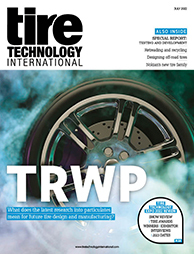 What are the key challenges in making ENR work for tires, and how have you overcome these? ENR has been tried in the past with silica compounds in tire treads. The epoxy modification was made in order to directly link the rubber to the filler silica, without the need for the then-expensive silane coupling agent. Interest in this method has declined over the years as silane coupling agents became cheaper and because ENR compounds still couldn’t compete with those compounded with synthetic rubbers and coupling agents when it came to abrasion resistance. Trying to solve the low wear resistance, several developments using ENR with additional coupling agents have been trialled, but none of them yielded satisfactory results. In addition, the mixing of silica in ENR is particularly difficult. The higher the epoxidation grade, the more incompatible the silica is to ENR. As a result, the compounds get very brittle and plastic-like. Sheeting is difficult and even when using silanes as a compatibiliser, these problems cannot be avoided completely. During silanisation in the mixer, water and alcohol are produced with a certain potential to cleave the epoxy groups, so that the polymer gets more and more polar. Trials with ENR50 are very rarely found in literature due to these issues, and ENR25 is the grade used in most. Behn Meyer, however, is now introducing surface-modified silica grades. These overcome the typical problems of ENR-silane-silica mixing procedures. As a result, the compound properties of such combinations are far better, especially when it comes to abrasion and moduli. In addition, these combinations almost match the wear performance of unmodified natural rubber (NR). We have found that the new compound systems increase the reinforcement of ENR by the filler, because they increase the network density. Only minor linking seems to be achievable when directly linking ENR to silica, while the low network density leads to the bad abrasion results. However, the Behn Meyer-modified silica products give the tread compounder additional options to design sustainable tread compounds with NR and ENR, ranging from low- to high-damping behaviour and featuring acceptable wear performance. Behn Meyer is currently investigating different chemistry for its products to take advantage of the unique and versatile epoxy chemistry of the ENR polymer. Specific bonding mechanisms can be used to create unusual effects in compound performance. Initial results are very promising, especially for applications in non-tire compounds. Further development of special silica grades is ongoing to generally increase the performance gap between standard dry mixed compounds and those mixed with Behn Meyer silica. We strive to open up a whole new world of possibilities for ENR compounding, because in our view, this a polymer that the modern rubber industry needs. 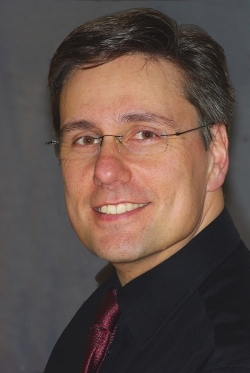 Dr Joachim Bertrand will give a presentation titled Breakthrough in epoxidised natural rubber tread compounding by use of surface-modified fillers, at the Tire Technology Expo Conference. Click here to book your delegate pass.